Our EZ Loader Pontoon trailers are evolving with the changing times as more and more people are towing pontoons to alternative sites. We oﬀer what today's smart buyer wants, a strong welded steel or welded aluminum frame, constructed and engineered to last for years to come. With four diﬀerent series and price points, our aluminum, economy, standard and executive models give you the choice of model and series with the features you want on your trailer. The standard features for all models provide a complete package to safely tow your boat. Enhance your trailer’s look with our assorted options, or pick the top-of-the-line Executive pontoon trailer. 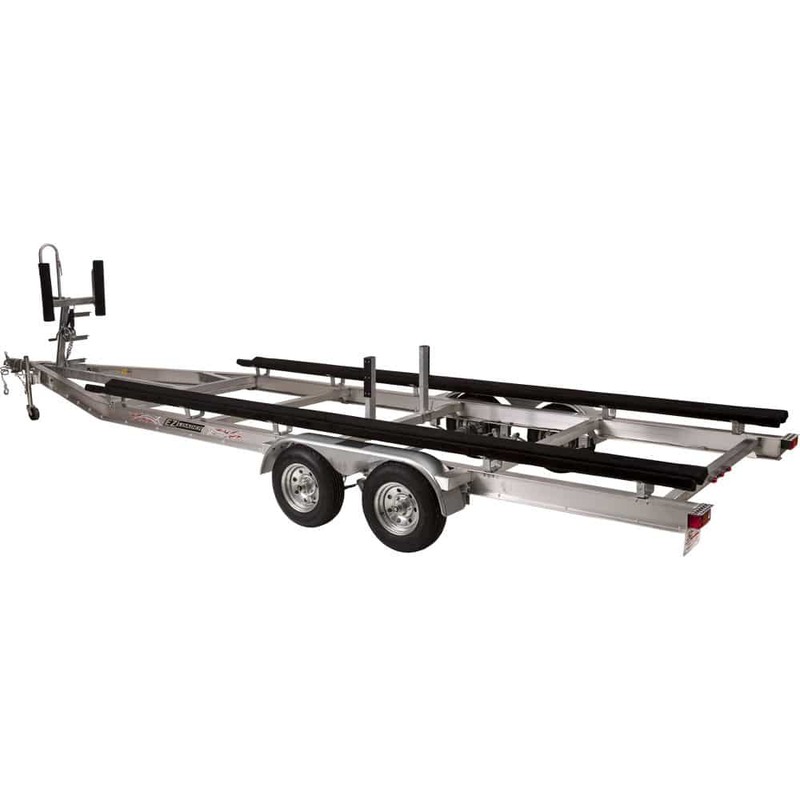 Our Executive series trailers are like no other in the industry, featuring lighted steps, stainless steel ladder, and composite bunk covers for more durability than any other pontoon trailer.